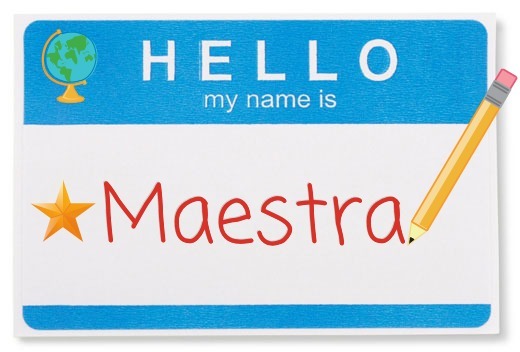 My Name is Maestra: A New School Year Begins! Whew! I had almost forgotten how exhausting the beginning of a school year can be. We're now a week and a half in, and I'm tuckered out! Last night I got home from work, took a four hour nap, got up and ate dinner, and then went back to bed for 11 hours. Today I finally feel rested, but then it's back at it on Monday morning! Maybe mid-way through October I'll have settled into the year? I wanted to share a few pics of things I'm using in my classroom this year and some beginning of the year activities we did. I found this awesome clip chart already in Spanish on TeachersPayTeachers. I had intended to make one myself, but when you find something already done and in Spanish, you jump on it, right?! I put it all together and laminated it, and introduced it the first week of school. I just started really using it this last week, and it's been going really well! This wall is something new that I'm trying out this year. I'm super excited about how it turned out! I have a space and name label for each kiddo where I can simply pin up their most recent work to display in the classroom. The first thing that went up is their Day 1 self portraits! 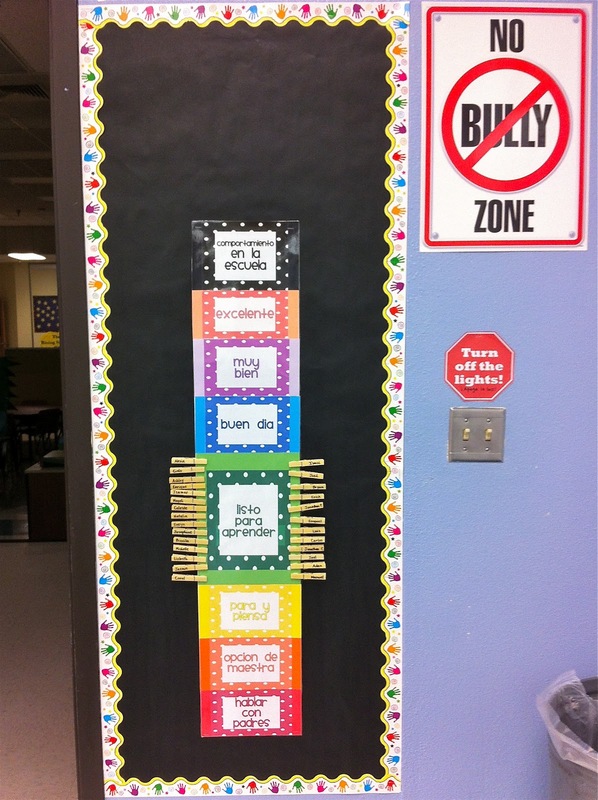 Each little pencil name label has a clothespin hot-glued to it, and each clothespin has two thumbtacks hot-glued to the back so they just stick right into the bulletin board. A big thank you to my husband who did all the hot-gluing for me ;) And he even brought coffee treats! 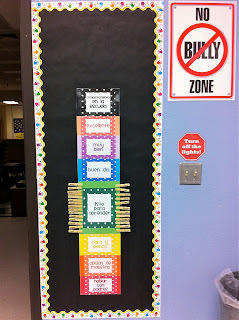 Last but not least is this simple, but powerful little activity we did on the first day of school. I asked the students what they wanted in a teacher and wrote down what they said verbatim. I put it up next to my desk to remind me of what is important to them! Notice "I want a teacher who gives me a lot of standardized tests and attends a ton of PD sessions" is not on there ;) Happy New School Year!! I LOVE your idea of asking you students what they want in a teacher. That is a chart to keep up throughout the year as a powerful reminder of what's truly important! The rest of your room looks great too. I hope you will keep posting more pictures! 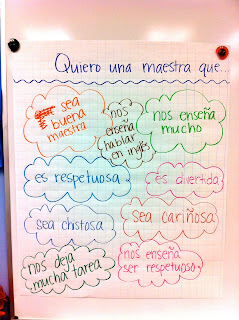 I am a teacher in a 2nd grade bilingual classroom. This is my 3rd year of teaching, and am finally starting to feel like I have a solid ground to stand on! 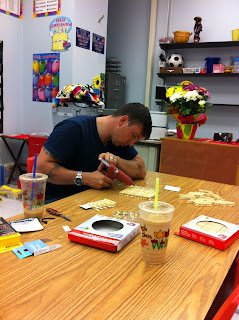 I have moved schools 3 times and taught 3 different grade levels in my short time as a teacher. It's been difficult, but I have gained so much knowledge and so many resources, and I'd love to be able to share those with you! And I have to say, watching the kiddos grow makes all that stress worthwhile.